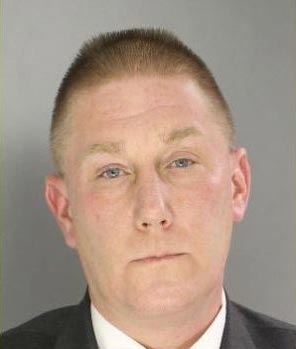 A man from Collingdale, Delaware County, is under arrest and charged with embezzling nearly $3 million from his employer. 45-year-old James Bryan of the 800 block of Spruce Street worked for Wescott Electric, in Aston, PA, for 26 years and was also a member of the Collingdale Borough Council for 20 years. Bryan is accused of creating false invoices and buying copper wire that he would then sell for scrap. He has been running the scheme for the past 11 years, costing Westcott Electric $2,919,361.50. Bryan was supporting a gambling addiction. The prosecutors office say his bank records show numerous transactions to Harrahs Casino. He stepped down from the Council in October amid the investigation. A United Airlines flight was forced to make an emergency landing at New Castle airport near Wilmington this morning. The airplane, a United Express CRJ 700, operated by Mesa Airlines, was on a flight from Dulles Airport in Washington to Boston's Logan International. The plane was diverted because of a report of smoke in the cabin. The 61 passengers and 4 crew members were all safe. Passengers were transported to the terminal by Delaware Air National Guard busses. Arrangements are being made to get the passengers to their destination. An Upper Darby mother is facing charges after officers discovered her 3-year-old daughter locked alone in a car in the cold earlier this week. Police were called to the Giant Supermarket on the 300 block of East Baltimore Avenue on Monday around 6:30 pm. A small child was inside an automobile that was locked and not running. The temperature outside was 28 degrees. Officers were about the break the window when the mother, Tania Orellana, approached them and unlocked the car. The child was taken to Delaware County Memorial Hospital for observation and has since been turned over to family members. Orellana was arrested and charged with recklessly endangering the welfare of a child. She was released on $20,000 bail. Clear Skies, temperatures in the upper teens this evening in Center City.